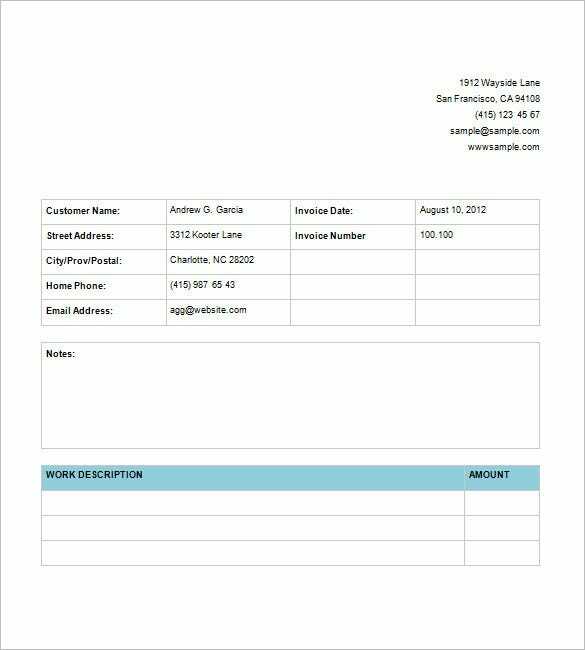 6+ Service Invoice Templates – Free Sample, Example, Format Download! For service provider companies, they must have a receipt to have the fees for the service or projects they have completed as requested by their customers. In order to have it they can look at contract invoice template that can be downloaded online, so they can make the bill for every customers asking for their service. 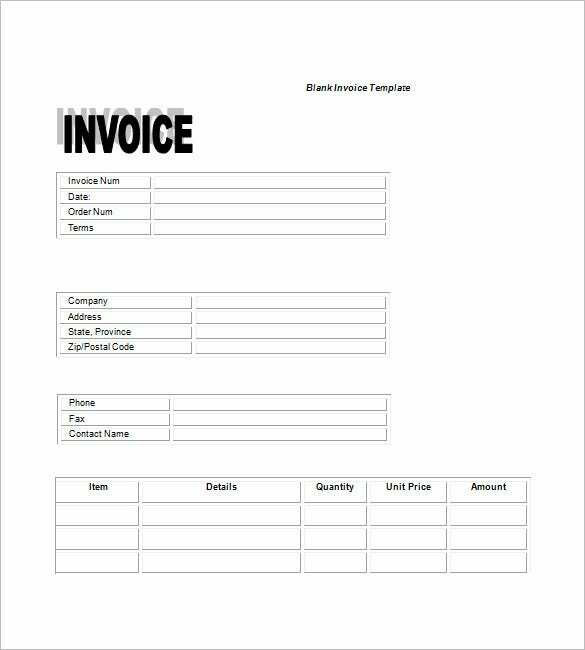 This is a very standard service invoice template which begins with information on your company and then goes down to state the details of the client company- followed by a table on notes and another table on work & amount. 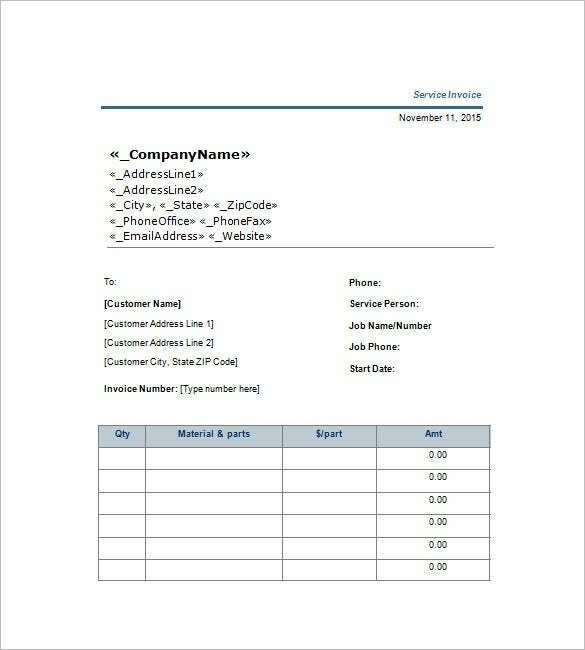 This service invoice template begins with your company details which is succeeded by the details of the customer’s company, a table on salesperson and finally a table on the service description and unit price. 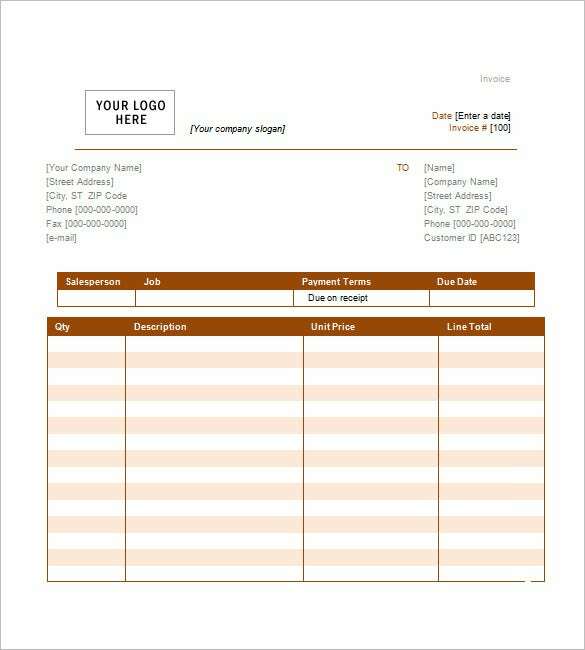 This simple invoice template starts with your company logo with your company details below it on the left and details of your client on the right. Then, you have a table on salesperson and another table on item description. 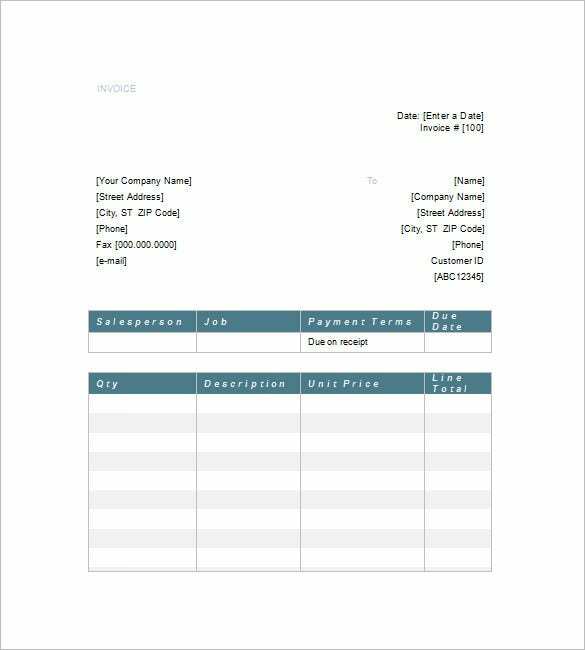 This standard service invoice template proceeds with date and invoice number on top right. Then, you have the details of your company and that of the customer’s side by side. Next, you have the table on salesperson and finally a table on the order. 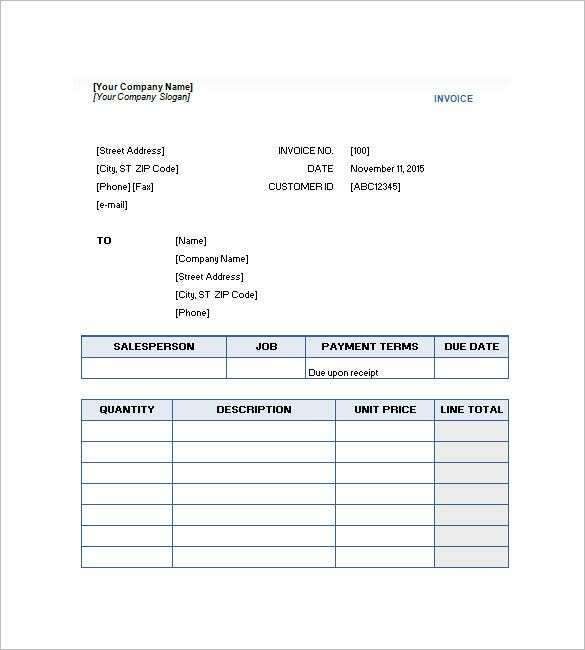 This service invoice template begins with name & other details of your company on the left and invoice details are on the right. Next you have information on customer’s firm followed by a table on service, projects, hours, rate & amount. 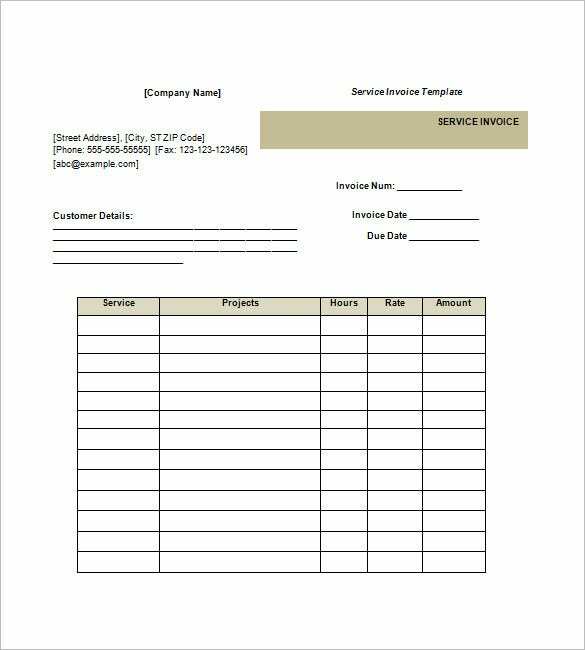 The blank service invoice template is a well detailed service invoice template that stores the invoice number, date, order number, terms, company name and address, phone number, fax, contact name. You can have the invoice template you need online and change it based on the service you provided for your customers. 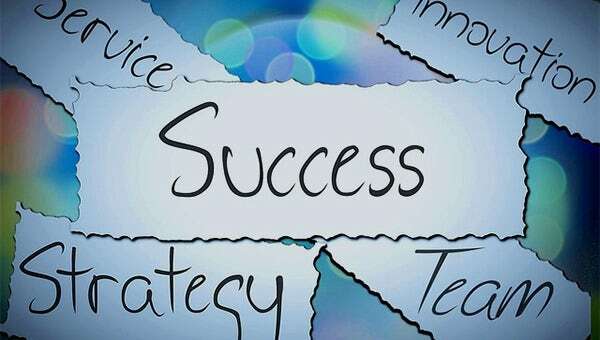 Details and designs of the template can be made according to their business and the service they provide for all customers. If you have any DMCA issues on this post, please contact us!